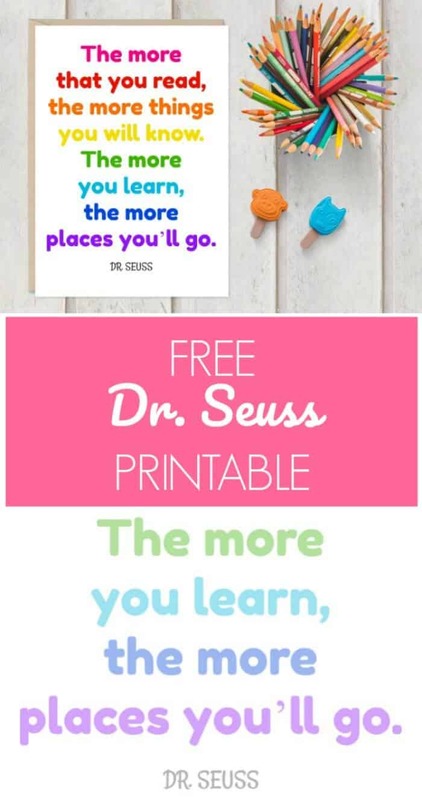 Rainbows, reading and travel make for the cutest Dr. Seuss quote printable! With school starting this week, we have been diving head deep back into routines, homework and reading! 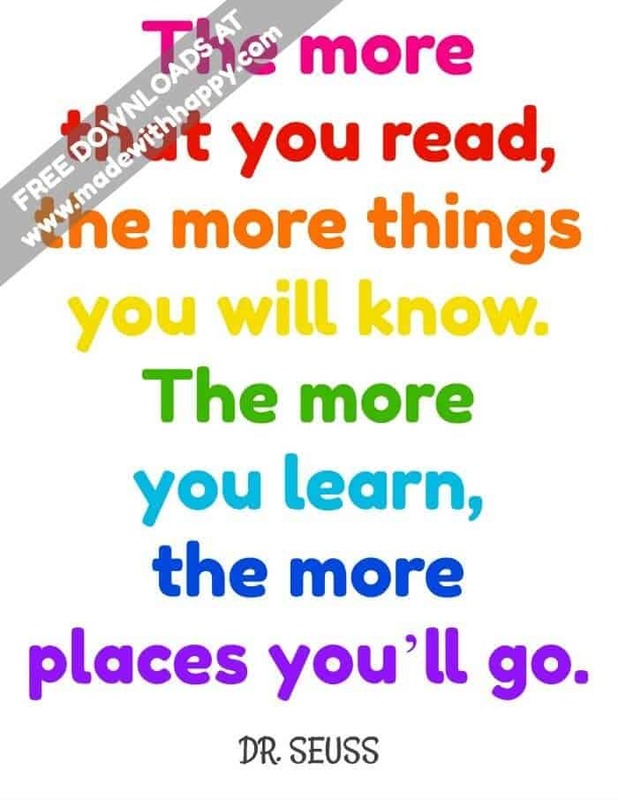 Are your kids learning to read? Are they young readers? Are they toddlers watching as you read to them? Dr. Seuss was a amazing individual that planted so many incredible seeds into so many young people. WE love this quote so much, we’ve put together a sweet FREE printable for you to print and hang in your kids room. Over their desk, in their playroom, or taped on their door. We sure hope you enjoy it as much as we do! If you have a young reader that is just getting into chapter books, then definitely check this out. Find all the must have in school supplies HERE.